Few days ago, there was news posted on various websites that we had cloned JB2 (aka) ‘True Blue’ successfully. We clarify we did not clone any other product, but we did find the ways on how to allow the newer games to work on CFW v3.55. Our research has found 3 different ways to allow newer games to work on older firmwares! No need of any new keys, but allows SOME new games to work on CFW v3.55 with a special bypass. With this method, most games even v4.11 games can run on CFW v3.55 very easily. But there has some games that can’t work with this A way. E3 TEAM knows this A way very well and can modify a newer v3.6+ game in 10 min. Decrypt games with it’s private key and encrypt with v3.55 key, so game can run on CFW v3.55 successfully. For example, you need v3.65 key to decrypt v3.65 game. Need v4.11 key to decrypt v4.11 game. E3 Team can successfully get all newer keys up to v4.11. We are 100% sure we can get all keys to v4.20 or higher FW with same way, only it takes some more time. This means, E3 TEAM can decrypt all newer games with this B way. As a matter of a fact, we are planning a newer CFW (no more need to be stuck on v3.55) when we have completed our research. Modify Blu-Ray firmware to allow newer games to run on older firmware. But only a few of the newer games can work with this C way, so we stopped researching this method. We are in the progress of developing a new USB device, to allow users to enjoy our work with economical cost. We will release further news and list of its features regarding this new product at a later date. Finally, to thank all of users whom have supported us in the past with our previous products, like the E3 Card Reader and E3 Flasher, we have decided to release 2 game eboots for free for everyone to enjoy that work directly on any console running CFW v3.55 directly. 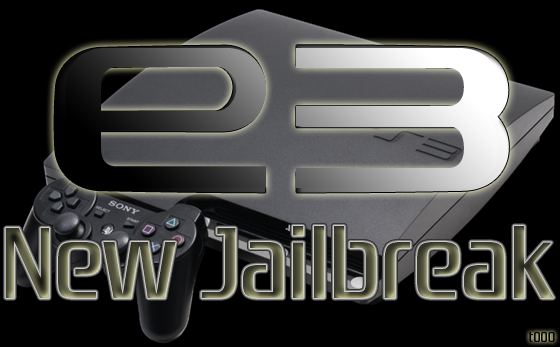 PS: Unfortunately the latest Slim 3000x consoles can’t work currently with methods mentioned above, as it is fully difference design compared to the older PS3 consoles, but have no fear we are still working hard on solving this Jailbreak puzzle. Remember our current product, The E3 Flasher is also very useful for Dual-Boot and to downgrade on older consoles, as for now we need to still stay on CFW v3.55. Below is links to our proof videos to show our work. First we run Ninja Gaiden 3 using the A way and then second we run Splinter Cell Trilogy HD with B way, which no matter how hard you have tried the A way it will never run. Video presentazione per il nuovo Toshiba Thrive!